It was previously believed that Samsung Pay support for the Gear S2 smartwatch would be launched in November, but as you may know, it is now well into December. Thankfully, instead of leaving consumers completely in the dark, Samsung has reached out to a single person on Twitter who asked nicely, declaring that Samsung Pay support for the Gear S2 won’t be arriving until 2016. Samsung has released no official announcement regarding the delay of Samsung Pay for the Gear S2, but now that Samsung sent out that tweet, it is now safe to accept the fact that mobile payments won’t hit your Gear S2 until next year. The Gear S2, unlike Samsung’s latest smartphones, features no MST, which is the technology that differentiates Samsung Pay from other services such as Android Pay and Apple Pay. 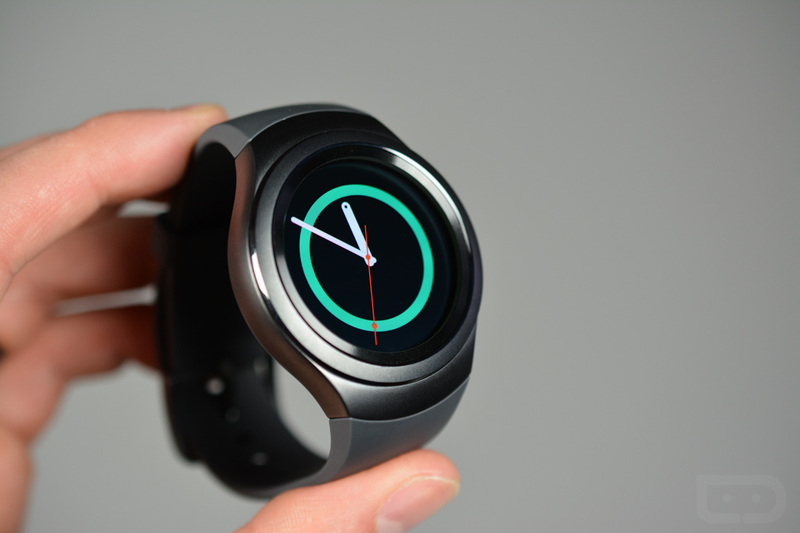 However, the Gear S2 does feature NFC (which Samsung Pay also utilizes), which will be the technology used to make mobile payments possible on the smartwatch. Interestingly, this delay should not come as too much of a surprise. In early November, it was said that Samsung Pay support would launch in 2016 for what was thought to be another smartwatch device entirely, and not the Gear S2. After that was posted, we reached out to Samsung for clarification, but never received an answer back. For anyone who purchased this smartwatch, hoping they would be doing Christmas shopping from their wrist, this news may come as a downer. Although, looking on the bright side, at least Samsung gave us the 2016 timeline. That’s better than no info at all.